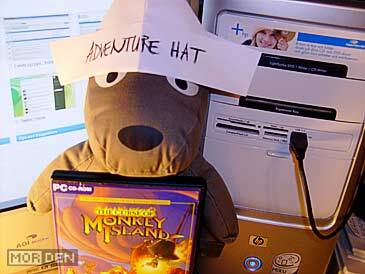 Looks like the time is nigh to put my adventure hat on, because pointing and clicking is back in style. I wish there was an adventure game hating person here right now, who never believed adventure games were any good, and to whom I could say "I told you so", because I always believed the time would come when people who enjoy a good puzzle and a funny joke would again be enjoying decent productions. Sadly, none of the people I know care that much about adventure games, or games in general. 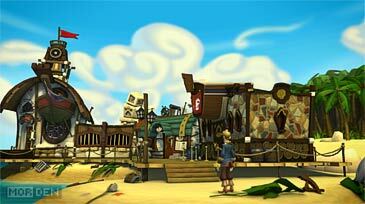 Recently we've seen two big announcements from LucasArts and Telltale Games. 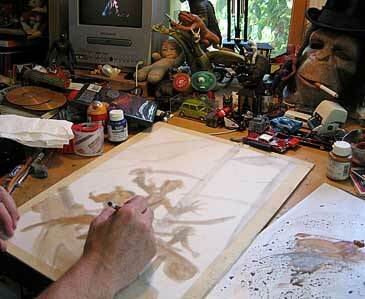 They both, rather unexpectedly, admitted to be working on Monkey Island projects. While LucasArts made a remake of the classic The Secret of Monkey Island, Telltale Games announced a whole new Monkey Island series - Tales of Monkey Island, divided into seasons and episodes, much like the rest of their titles. 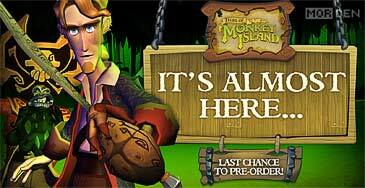 Not too long ago, I chose to pre-order Tales of Monkey Island, tempted by the Steve Purcell painted slipcase, which comes with the physical copy of the game, once all five episodes of the first season are out. Aside from the slipcase, all those who pre-ordered, got a coupon code for a free episode and access to an exclusive part of Telltale forums, Private Pirates Club, which before the game premiered was off limits for regular mortals. Now it's open for viewing, but all the topics are locked. Too bad I didn't leave my mark while I still could - Maybe I'll be able to post a question to Dominic Armato before the second episode premieres and I think of a question good enough to post in public. 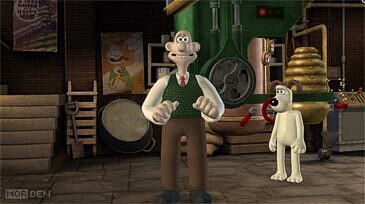 Before Tales of Monkey Island premiered, I used up my bonus code and got myself the very first episode of Wallace & Gromit's Grand Adventures. Since the episodes are $8,95 a pop, and there's only four of them in the first season, I figured it was a win-win situation for me. Telltale offers the first season bundle for $34,95, which hardly makes any difference whether you buy the season as a whole, or buy the episodes separately. Buying single episodes would set me back $35,8 and since I got one episode for free, all I have to do is pay $26,85 for the remaining ones, and I got myself a complete season with the disc. 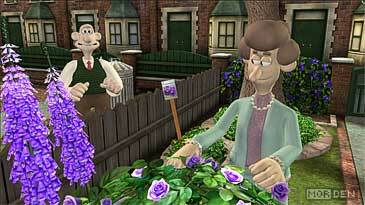 I was curious about the Wallace & Gromit game ever since it came out. I'm not too big on game demos, especially of those games I know I eventually want to get, so a free copy of Fright of the Bumblebees was a real treat for me. I already knew the characters all too well, so I wanted to know how did Telltale do this time around. After all, their Sam & Max series came out excellent, no matter what the fanboys want you to think. The Grand Adventure and Fright of the Bumblebees starts off, like any regular day, with breakfast. Lazy Wallace needs his nutrients, so naturally, our very first mission will be to feed him. I guess Telltale figured the best way to start off a game was to make you run chores. Let's stop there, because it sounds like I'm complaining, while in fact, fixing the breakfast is rather enjoyable and free of stress - And it can't be compared to the chaos Wallace and his inventions create later on. The plot is simple: Wallace got himself a debt he needs to repay, and he intends to do that by delivering no less than fifty gallons of honey to a local shop. The problem is, Wallace can't get the production going unless he comes up with an obscene amount of flowers to feed his bees. Being an inventor however, he quickly comes up with a totally unrealistic solution which gets everyone in trouble. 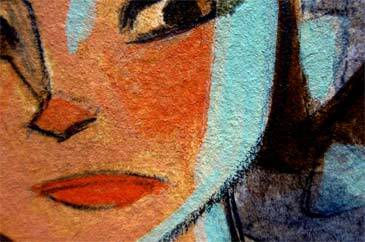 I don't want to be spoiling too much, so let's leave the story and focus on the rest. The game introduces new style of controls and setup. While Sam & Max was all about pointing and clicking, in Wallace & Gromit we'll move about using either the arrow keys, or the more familiar alternative to those who play first person shooters, "WASD". I personally prefer the mouse interface, but I had no real problems with Telltale's decision. The only frustration was caused by the movement being relative to the camera angle, so if you enter a new area and the camera changes, the detections might change a bit - Just like they did in Alone in the Dark or Resident Evil games. Everything else is spot on. 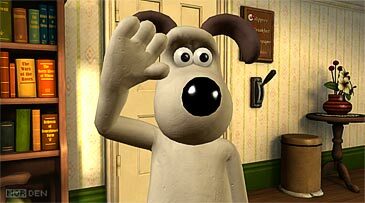 Both sound and voice acting work great and those familiar with Wallace & Gromit series won't feel that something has changed. Graphics do their part as well. The characters try to look clay-like, and with some help from nice texturing, I'd say they pull it off. One thing I have noticed and thought was really cool was how the characters move and talk. 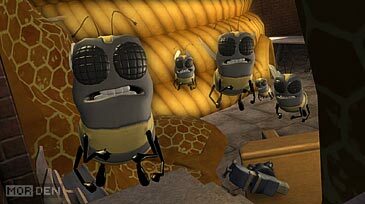 Clay animation usually uses specific frames for vocals and the game mimics that really well. Same goes for Gromit's walk. He looks more like a clay model being animated, than a polygonal character with fluent moves, so props to the animators. That about covers it for Wallace & Gromit - For now, because once I get the whole season and a game disc, I will most certainly talk about this title again. 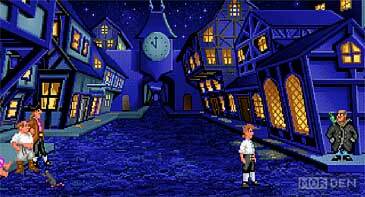 Now I would like to talk a little bit about The Secret of Monkey Island. Looks like someone at LucasArts realized there's still money to be made selling adventure games, but instead of making a proper sequel to Full Throttle or one of the Indiana Jones games, they decided to play safe and release a remake - Not that there's anything wrong with that. Recently, LucasArts have released some of their classic adventure games as digital downloads on Valve's Steam and IGN's Direct2Drive. 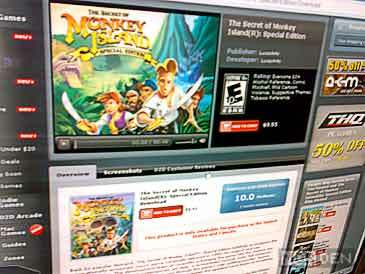 Since digital distribution is becoming more and more popular and big companies don't believe in retail success of adventure games, The Secret of Monkey Island: Special Edition got only a digital release on the previously mentioned services and on Xbox Live Arcade. What is a consumer to do, when a game is only available in digital form? Choose the lesser of three aforementioned evils. Since I already know how retarded Steam is, and I don't like digital downloads for consoles in general, I started considering Direct2Drive. The problem with Direct2Drive is, they're racist. Why would I say such a thing? Because it's true. They tend to focus on United States based consumers and thus, making majority of the games available via their service inaccessible to people outside of the land of opportunity. However, as long as you can supply a valid US residential address and fake your IP, you're all set for sailing. Direct2Drive has one advantage over Steam - It doesn't come with a client that's hogging your computer's resources for no reason other than DRM protection. The only problem is, you have to fake your way through the registration, payment and activation so that the service actually believes you're from the US of A. On top of that, the game is activated via Trymedia. What's Trymedia, you might wonder. Remember RealNetworks and their crappy, adware infested RealPlayer? Trymedia is basically a division of RealNetworks, specializing in DRMing the living hell out of everything using their evil ActiveMARK solution. But hey, it's still better than Steam, and you only need to activate the product once. After that, it's a standalone program without a client attached to it. 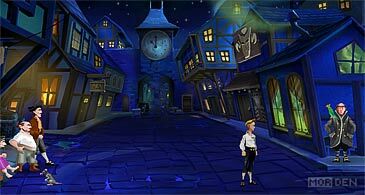 So now, I'm a happy owner of a digital copy of The Secret of Monkey Island: Special Edition and even though I haven't been able to play all that much since I'm still knees deep in Gobliiins 4, so far things are looking good. 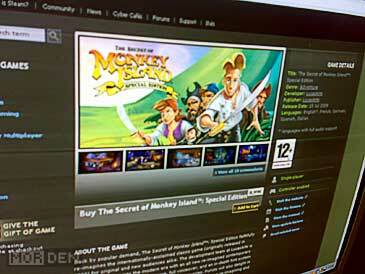 To make things even better, LucasArts made it possible to switch between the original CD version of the game and the remade Special Edition at any time using the F10 key. As soon as this game came out, investigative fans went to work and took everything apart. As it turns out, it is possible to extract the classic game and run it using the ScummVM engine interpreter. Another project that attracted a lot of attention, especially on the LucasForums, is an attempt to transfer the Special Edition voice over, only used in the upgraded version of the game, to the classic version of the game, creating a full "talkie" hybrid. I'm pretty excited about all of this, but I still hope that sooner or later LucasArts will release a retail version of this special edition. 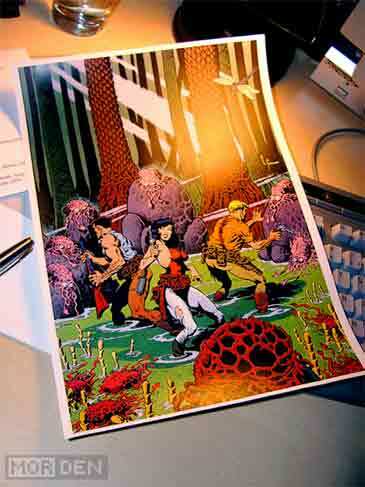 In other, not so adventurous news, I'm finally done retouching my Xenozoic Tales poster by Mark Schultz. It had some fold marks, which I got rid of, and now it's ready for high resolution, big format printing. 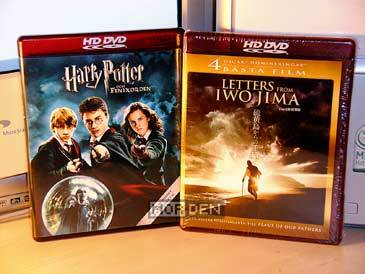 I also managed to score to new HD DVDs. I did invest in the Xbox 360 HD DVD drive, so I need all the movies I can find. Well, not really, but the obscenely cheap ones I'll buy, and these were only $3,8 a pop, and if that's not a good deal, I don't know what is. Also, I am still playing the classic Goblins, no matter where I go. Why won't the developers see to it that we get decent games on portable devices other than Nintendo DS and PSP? 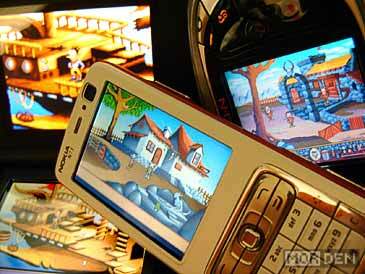 I own a Symbian OS 9.x phone and there are very few decent Symbian games, only Java crap. Luckily, I have ScummVM, because aside from emulation, only decent games I've found are those by Infinite Dreams. 2009.07.24 Fri PC ☆ Point & Click Comment Tweet This!